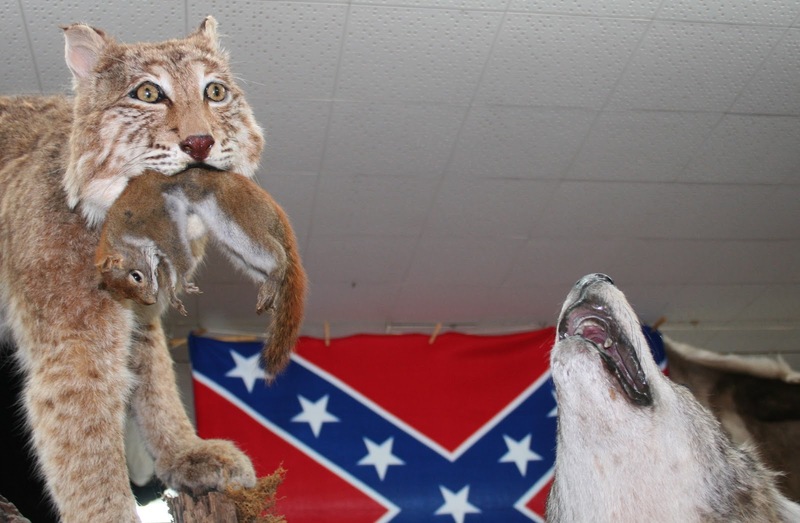 As I document the South one of my favorite things to photograph is taxidermy. Personally I like the kind of taxidermy that has character to it. 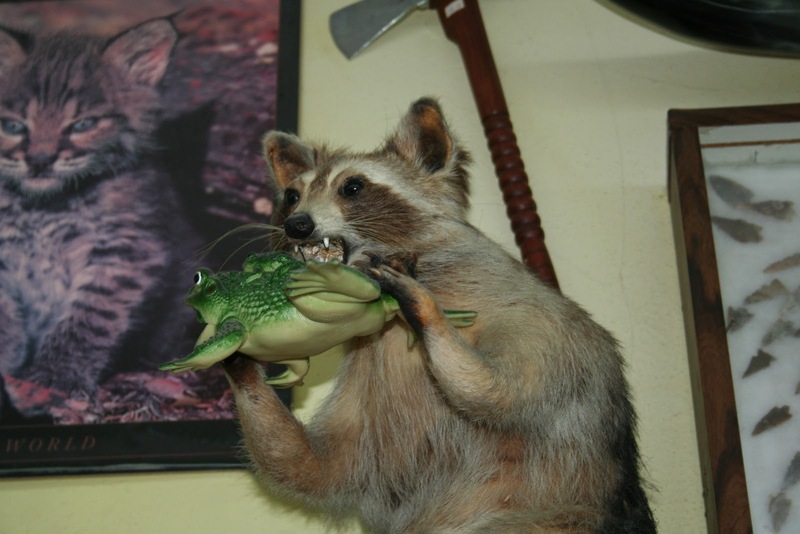 I like taxidermy that is a worn or has unique touches to it. Here are some of my favorites. 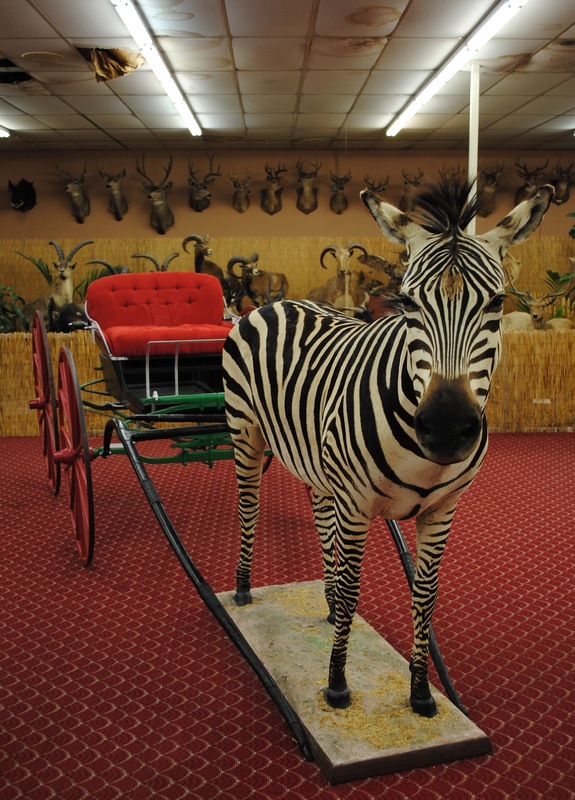 One of the first rules of taxidermy should be an obvious one: Don't keep your taxidermy outside. 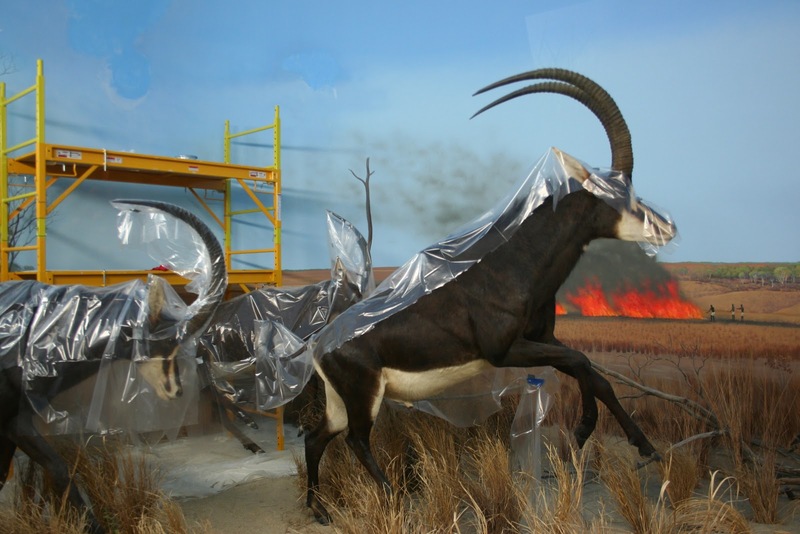 Nothing can cause wear and tear on your specimens like exposure to wind, rain, living animals and knuckleheads. In the wonderful vacation paradise of Cherokee, NC there are two very good examples. 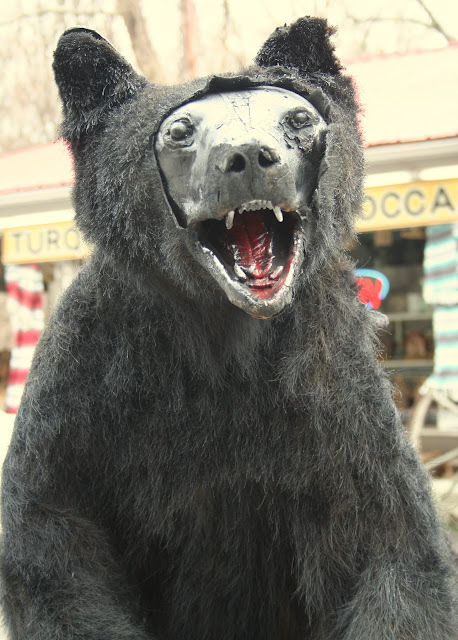 There are a set of bears at two different shops that show that outdoor taxidermy is questionable. Look at this poor fellow. His fur has been almost petted completely off. His paws have been reduced to little nubs. His eyes are missing and his mouth has been turned into a trash can. A few doors down lives this bear's little brother. This little guy sits in a parking lot on a homemade skateboard. 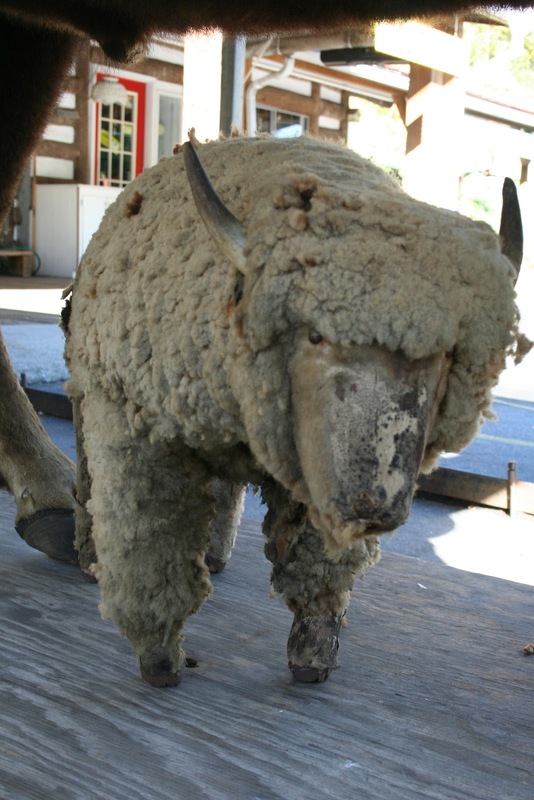 As you can see his face has been rubbed off exposing the taxidermy form underneath. This guy is apparently a few decades old as I have seen pictures in other people's old vacations photos. Oddly enough he appears to have been brown at one point and it looks like he was spray painted back. I haven't seen this guy in awhile and it looks like he may have finally been put out of his misery. 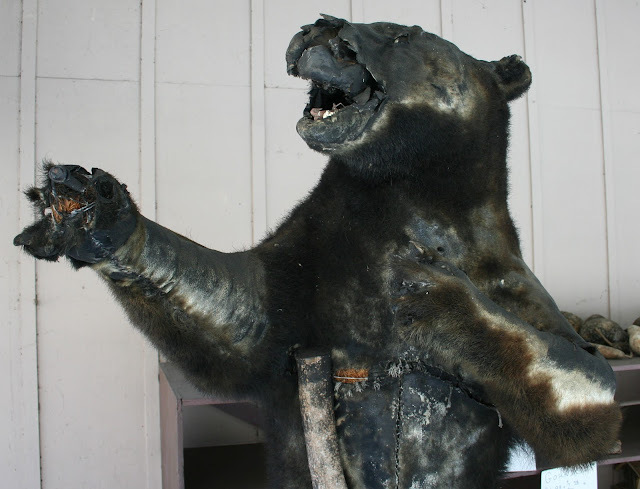 Those poor bears are not the only outdoor taxidermy in Cherokee, NC. 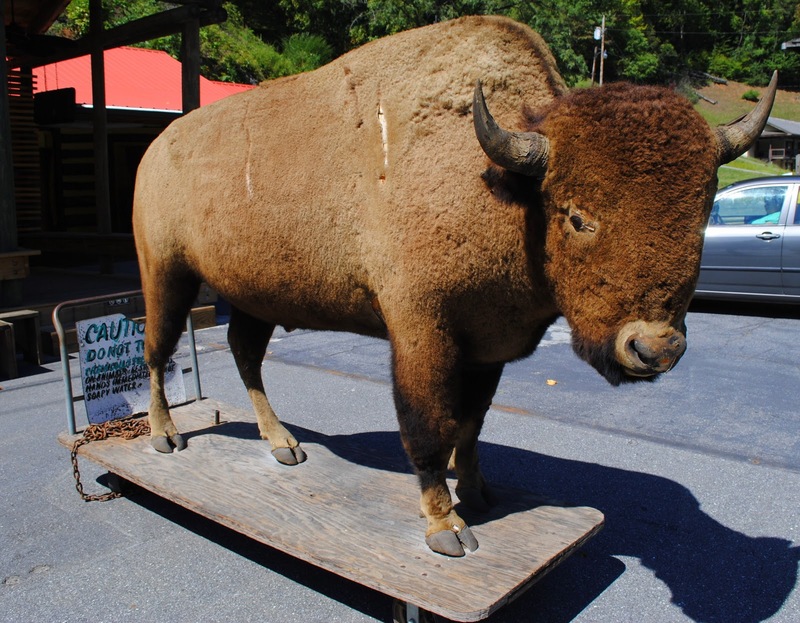 We also have Bill the Buffalo, who is a popular photo opportunity for tourists in Cherokee. I'm not really sure what that thing this. At the Guinness World Record Museum in Gatlinburg, TN I found one of my favorite taxidermied animals of all time. Now nothing is really done very well about this piece. I have never seen a Possum sit like that. 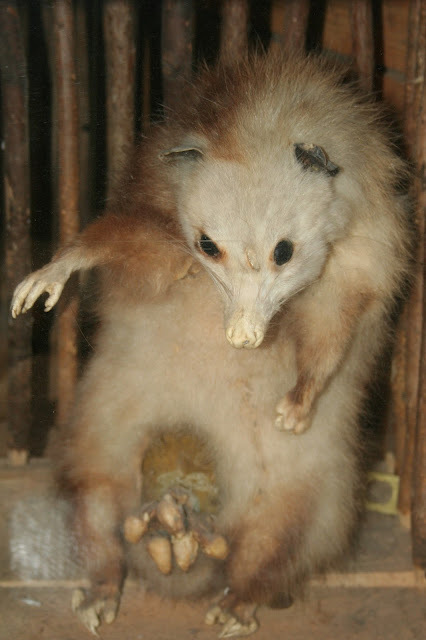 Worst of all they attempted to preserve the babies in the Possum's pouch, which creates a horrific and ghastly effect they were probably not going for. 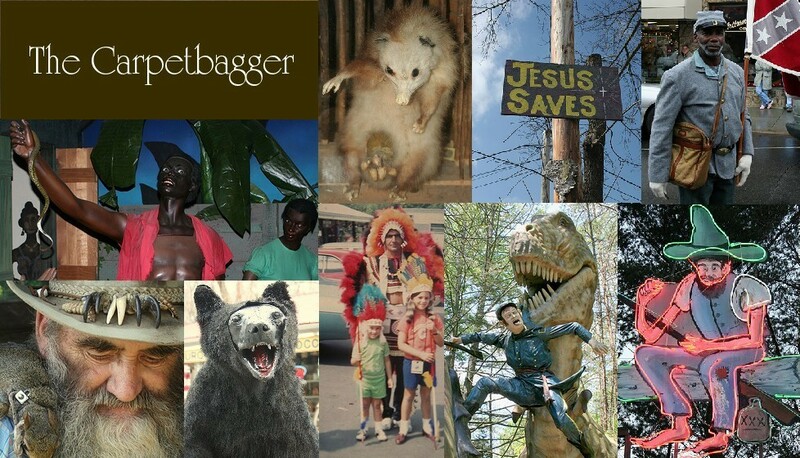 One day I was walking down the streets of Highlands, NC and found a peculiar site. 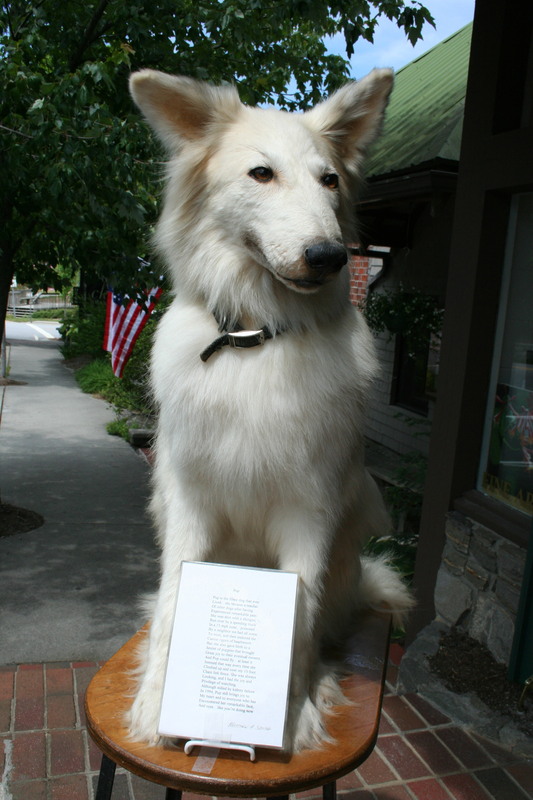 The sign bellow this dog states that he is named "Pup" was and was run over by a truck, shot by a shotgun, poisoned, and survived heart worms only to die of Kidney Failure in 1994. 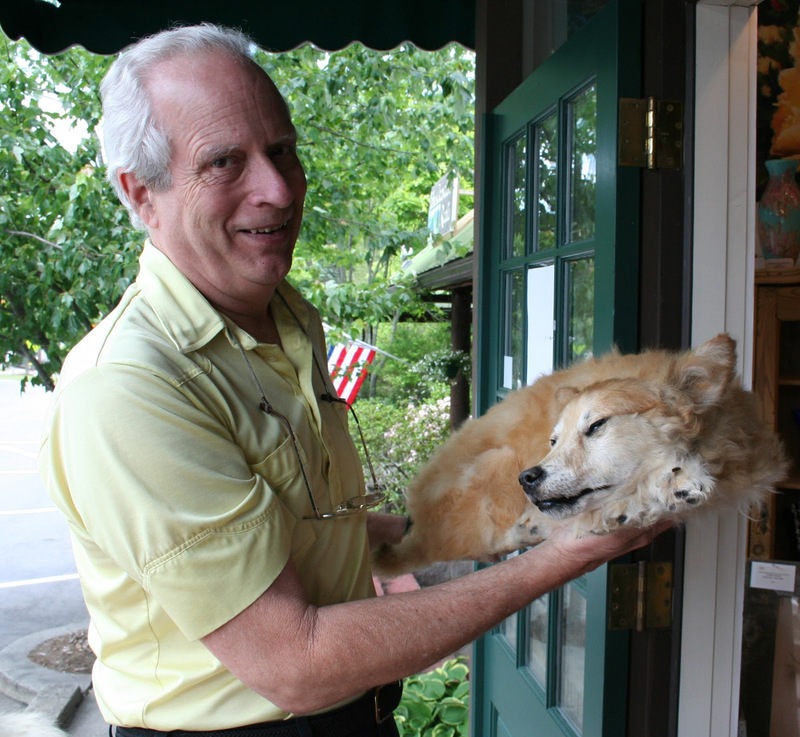 The gentlemen running the shop saw my interest and scooped up what appeared to be a living sleeping dog off the floor. It was actually Mr. Jordan. Pup's stepson, who also happens to be taxidermied. Apparently there was a leak in the ceiling of the Museum, but the Museum was kind enough to not cover up this display and let us see this curious display. 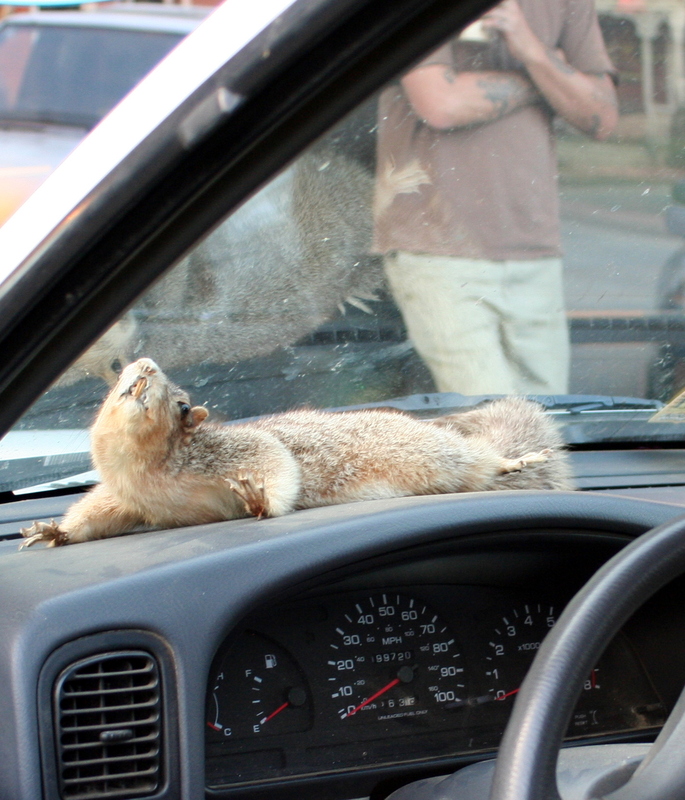 I found this little squirrel tucked up under the windshield of a puck-up truck. The owner of the truck saw me snapping pictures and was kind enough to take Sparkles out and put her on the hood of the truck so I could get some better pictures. 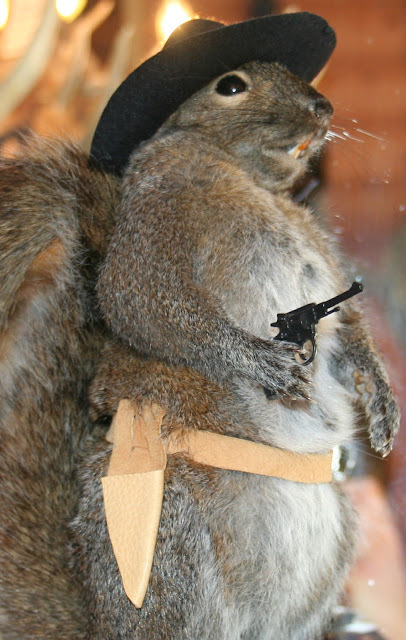 He said Sparkles was his "first confirmed kill" and that he always keeps her with him. Obviously, being tucked up under a windshield and being exposed to the sun had a negative impact on little sparkles. 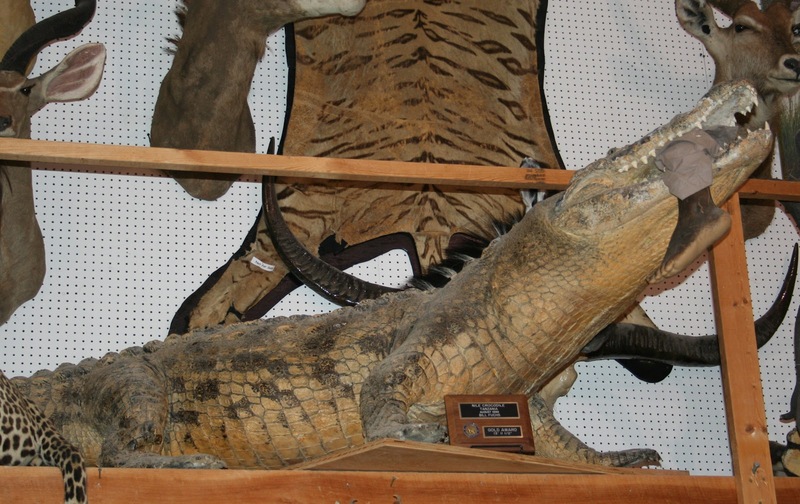 For some reason a lot of people find taxidermy very "creepy". 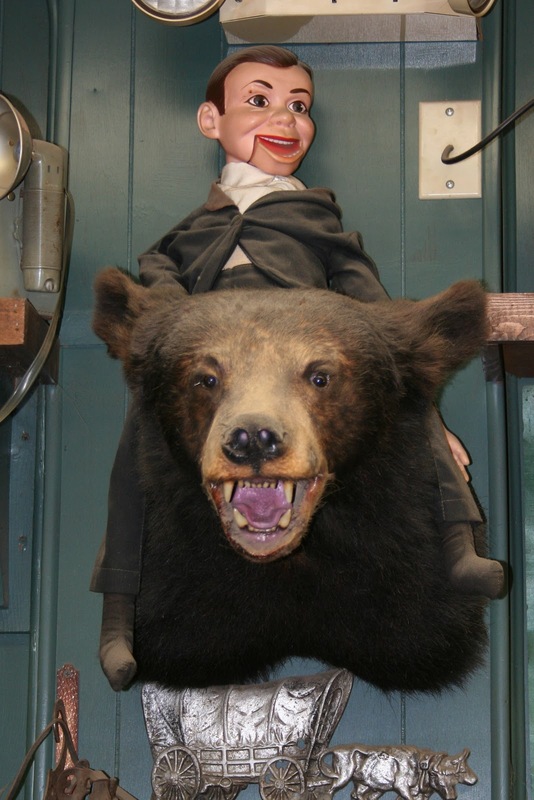 Another common phobia is ventriloquist dummies. I think they go together like peanut butter and jelly. 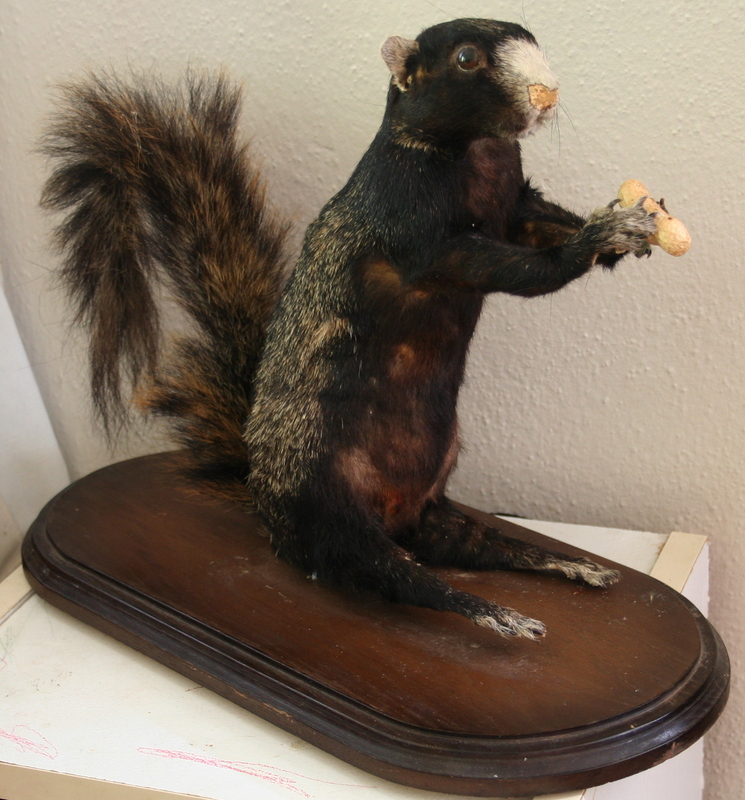 One popular method of livening up taxidermy is to add human elements to taxidermied animals. 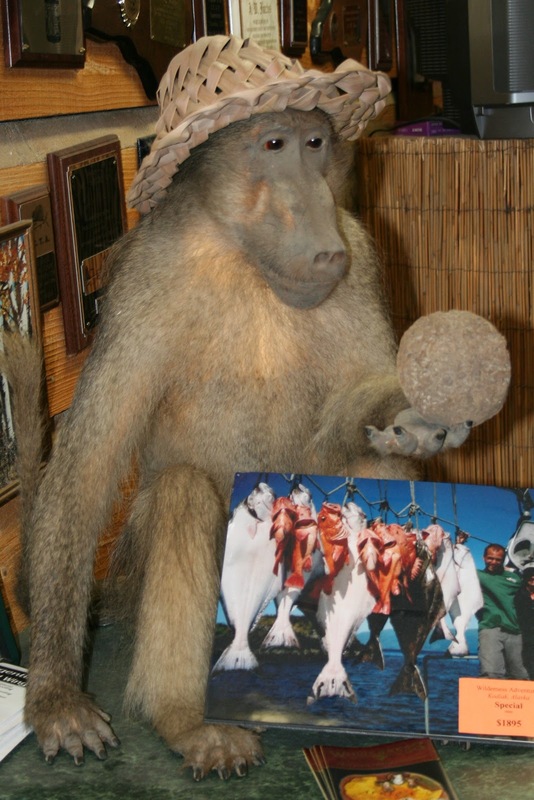 You see, that could have just been a normal stuffed baboon, but you throw a hat on him and it adds a whole new element to his character. 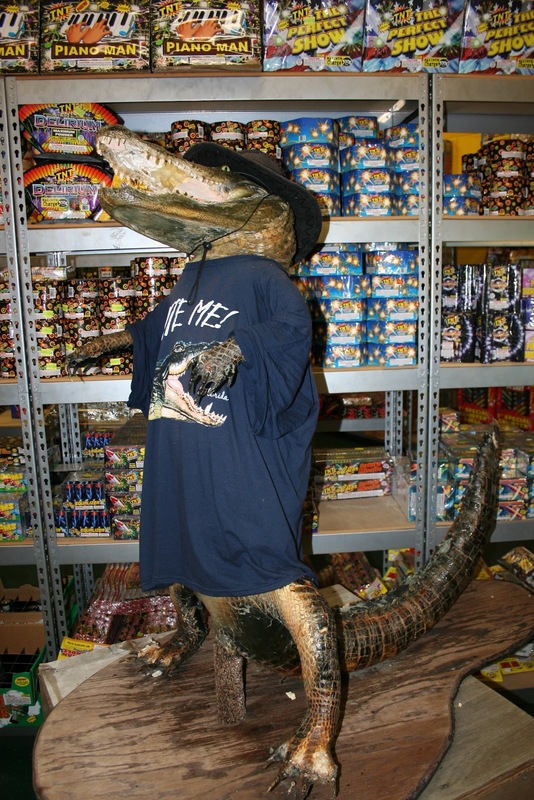 Or check out this this firework shop Gator, not only decked out in clothes, but forced to stand up like a man. 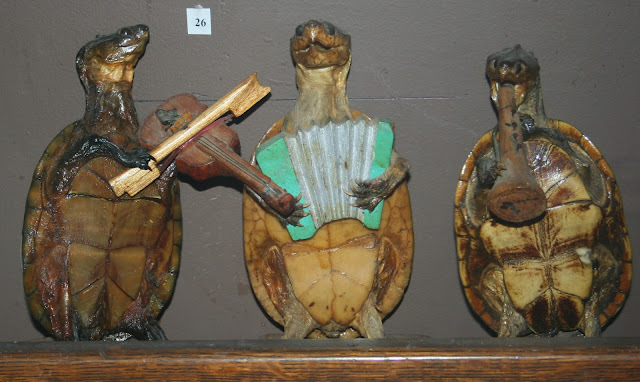 And what is more adorable then animals doing people things, check out this adorable little turtle band. Of course, my personal favorite has to be this adorable little cowboy squirrel. Of course nothings spices up taxidermy like adding a little good old fashion violence. 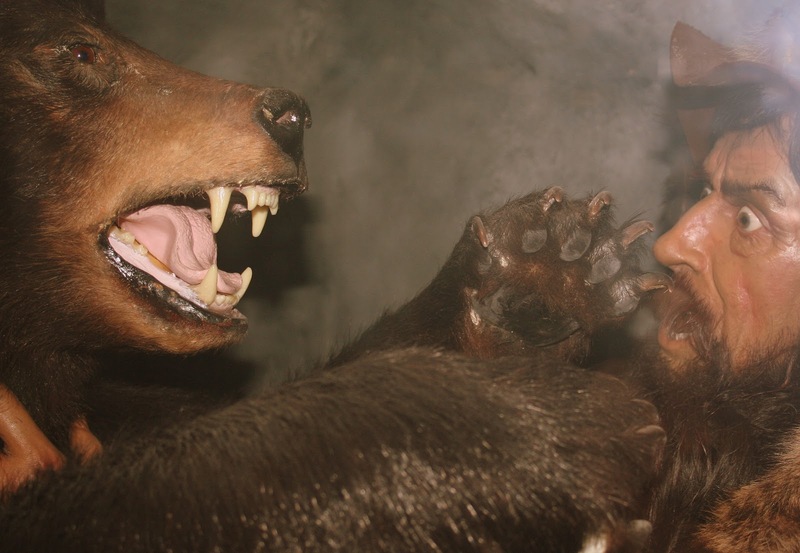 Animals eating each other is a sure fire draw. 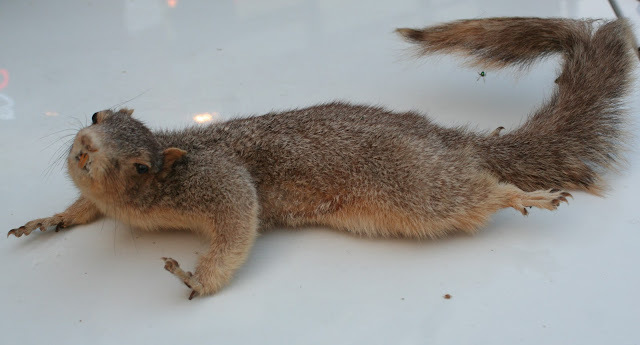 Check out this showdown between legendary rivals the Mongoose and the Cobra. 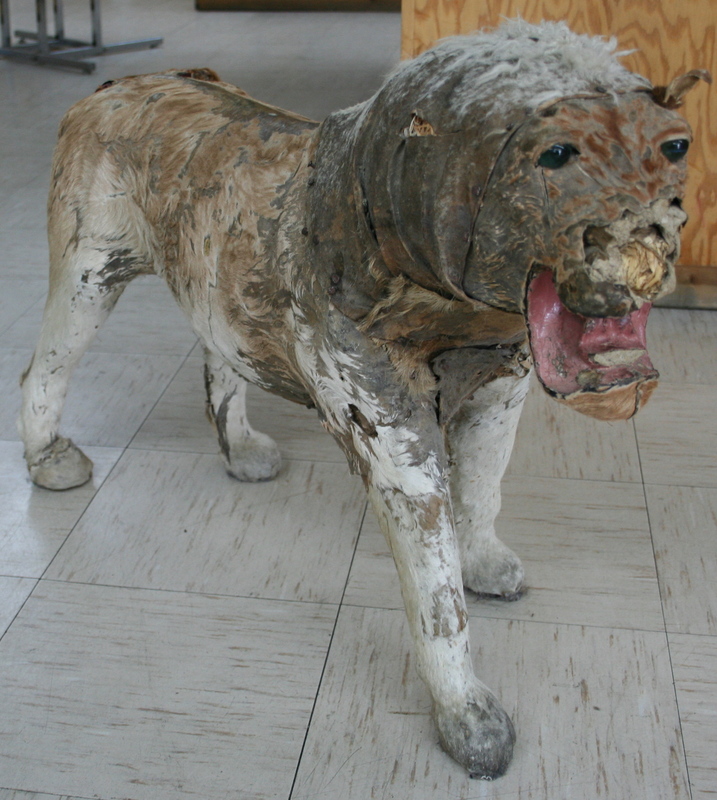 Or this leopard getting the best of this poor little Baboon. 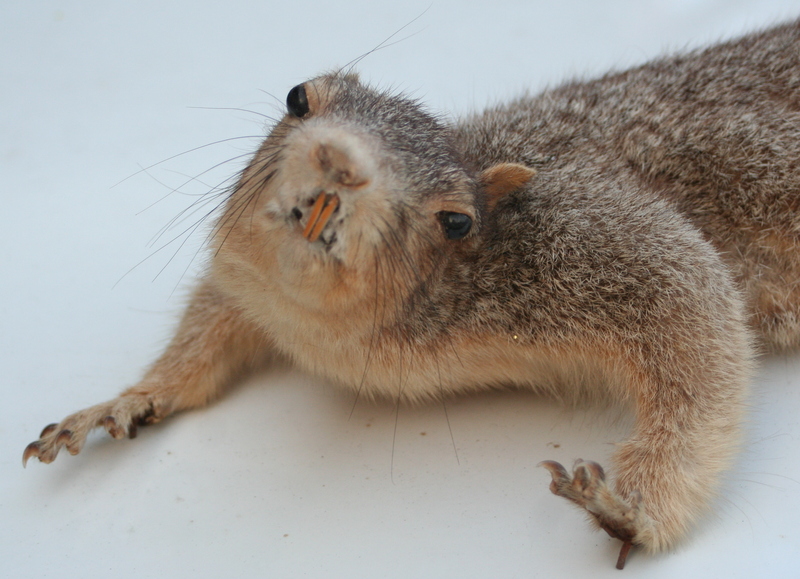 Is it just me or are squirrels always coming up with the short end of the stick? Of course why would you go through the trouble of stuffing two animals when a rubber frog would do just as good. 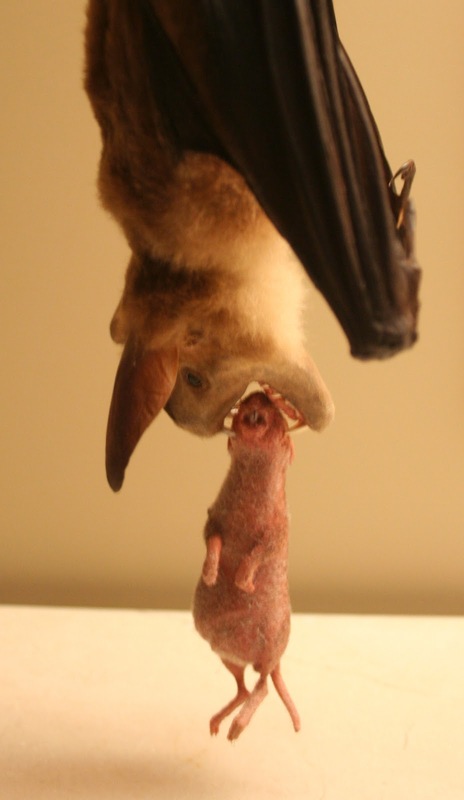 This bat was actually photographed at the Smithsonian in Washington, DC, showing that even the most revered institutions can be guilty of displaying weird and confusing taxidermy. It all gets a little dicey when you start including humans into the mix as this possibly racially insensitive alligator mount shows. I am have no idea what this is or was. 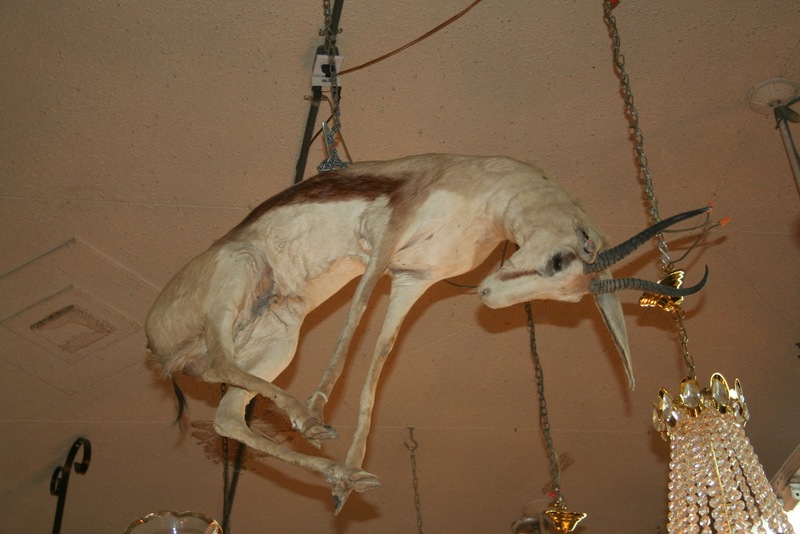 This is my favorite piece of taxidermy. Tookie is my very own stuffed squirrel. I found her sitting at the end of someone's driveway. Until recently she sat on my desk at work, much to the horror of my boss.